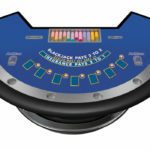 AxMan adds an exciting Poker twist to the classic game of Blackjack in the form of a fun new side-bet, resulting in a thrilling casino experience. 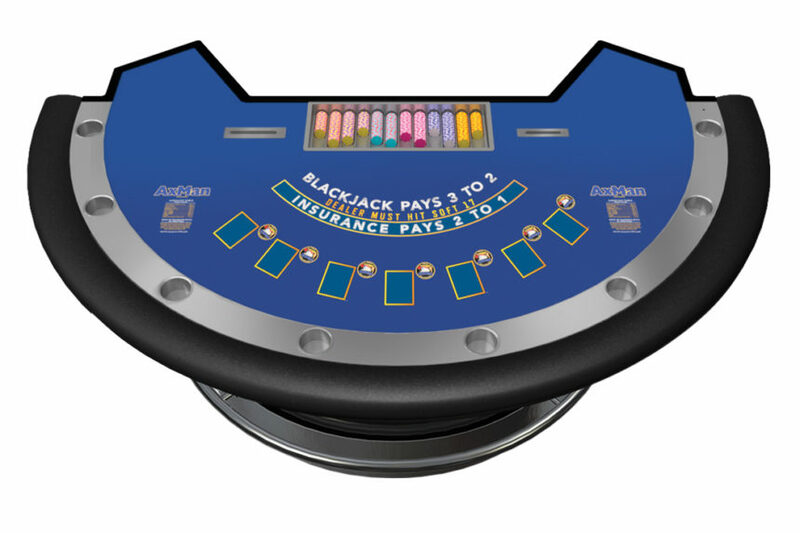 A player making an AxMan side-bet is hoping when the entire Blackjack hand is complete, the dealer’s hand will have a Poker hand consisting of a pair of Jacks or better. AxMan features two exciting game multipliers, with a King of Diamonds in the dealer’s hand being a wild card for the AxMan side-bet, a King of Diamonds dealt in the players’ original two cards multiplies the AxMan pay-out by 2 times and two King of Diamonds in the player’s original two cards means the AxMan pay-out is multiplied by 5 times. Prior to each Blackjack game, players may place an optional AxMan side-bet based on the dealer’s completed Blackjack hand to consist of a qualifying poker hand. A winning hand will contain the dealer’s best 5 cards or less and will be paid according to the AxMan pay table. If the dealer busts on the Blackjack hand, the busting card CAN be used for the poker hand. Wins and losses for this bet are determined AFTER the round of blackjack is complete. To find out more including pay table information download the AxMan How To Play guide and Customer Information Sheet.